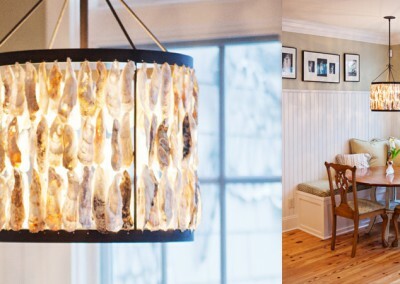 Our line of oyster shell lamps are unique, beautiful, and a perfect way to pay homage to North Carolina’s coastal lifestyle. 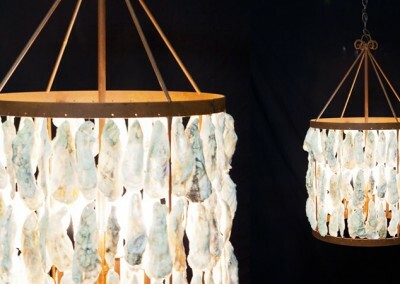 They’re a great way to celebrate and embrace the natural beauty of the world, while bringing an organic vibe to any home. 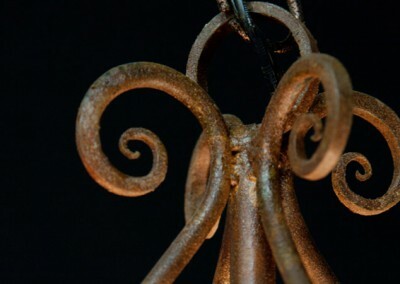 The scroll work at the top of the lights are hand forged, and each one can be customized in regard to size, materials, and style.